A homemade hair mask is great because you control the ingredients, and salons are expensive! Learn to make these natural hair mask recipes at home instead of shelling out a bunch of money for inferior commercial products. Wintertime can be hard on hair. Humidity is low, which might seem nice when your hair isn’t frizzy, but in reality, when there’s little moisture in the air, your hair can get really dry. While I often let my hair air-dry in the summer, I’m pretty likely to blow-dry it in the winter. I don’t always do it, but the warm air just feels so good! And it makes me cold to let my hair stay wet for a few hours, which it inevitably does after a shower. So, yes, I succumb to the hairdryer and even the straightener, and my hair is starting to show it, which makes a homemade hair mask come in handy. With the dry air, the heat treatments, and the increased use of hats and scarves, your hair is probably starting to get some damage, too. Is it breaking easily? Do you have more split ends than usual? Has it grown dull and lost its shine? Yep. Winter is hard on hair. Stop washing your hair every day. I feel like I preach this all the time, but if you are at all able to skip a day or two between hair-washings, you should. Every time you wash your hair, you’re stripping it of its natural, beneficial oils. In winter especially, your hair really needs those! Skip the hairdryer. I know I just fessed up to using one, but I do limit my usage. If you have to dry your hair, try not to do it every time you shower. If you can limit hair-drying to once or twice a week, you’ll be saving your hair a lot of damage. Run a humidifier. You should really be doing this anyway – it’s good for your skin and your airways, too – but it will definitely help your hair. It’s not hard to make a mask for your hair. In fact, it will involve a lot of the same ingredients you would use for a mask for your skin. The application process is different, obviously, but making and using the homemade hair mask will be just as simple! This is the most simple homemade hair mask you can make. It only has one ingredient – coconut oil! I actually learned about this treatment from a girl who cut my hair. She had dyed her hair one too many times and was looking for a way to get some moisture back. All you need for this is about a quarter of a cup of warmed coconut oil. (It needs to be in its liquid state.) Simply apply it to your hair (wet or dry, it doesn’t really matter) and leave it in for at least an hour. You’ll want to be in the bathtub for this, or well-covered with a towel. If you’re going to continue going about your chores or even keep this treatment on overnight, make sure you take the necessary precautions, like a shower cap. Coconut oil will stain clothing and linens. When you’re finished with your treatment, wash the coconut oil out of your hair and carry on as normal. Warning: coconut oil makes showers slippery, so be prepared to clean it up immediately. The first time I realized that eggs were good for your hair, I was a kid in Vacation Bible School. I missed my catch in an egg-toss and ended up with a cracked egg on my head. (I’d like to say I’ve gotten more graceful since then, but that wouldn’t be true.) After the counselors rinsed my hair and it dried to its normal state, I couldn’t help but notice how different my hair felt where the egg had cracked. Turns out egg really is a great thing to put in your hair. 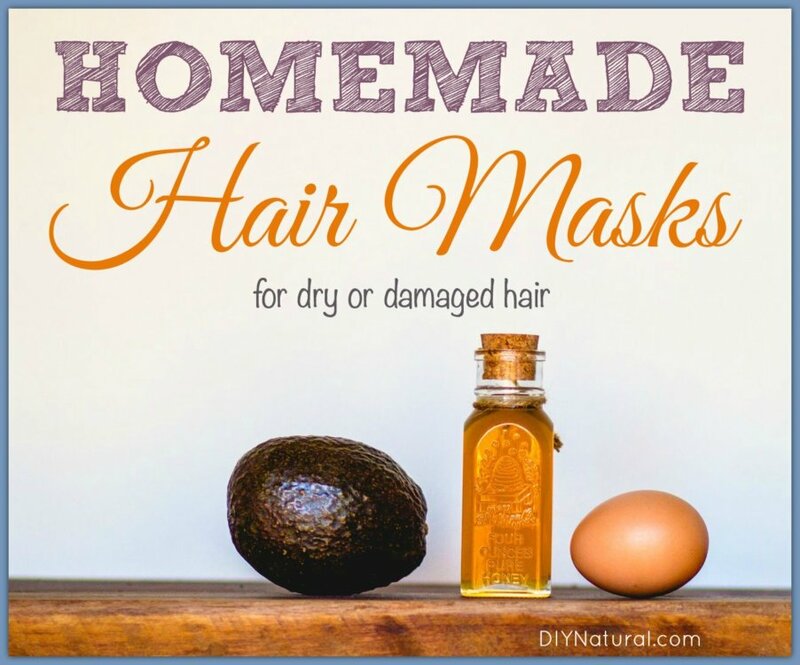 For a moisturizing, restorative, make-it-shine homemade hair mask, mix it with some avocado! Mix ingredients well. Apply to wet or dry hair and allow to sit for 15-20 minutes before rinsing and washing hair. Honey might not sound like something you want to put on your hair, and I understand. It’s like the stickiest substance found in nature. But when you mix it with a little yogurt and olive oil, it’s an important component to helping get your hair back in shape. Mix the ingredients well. Apply to damp hair, and allow to sit for 15-20 minutes. Rinse and wash your hair, and allow to dry as normal. Good luck getting your hair back to its happy, healthy, shiny state. Which homemade hair mask do you think you’ll try first? Emry is a writer, teacher, photographer and mother. She is interested in all things DIY and is willing to try any project at least once. She loves spending time with her kids and loves gardening, projects and chickens. You can find her on G+. PAID ENDORSEMENT DISCLOSURE: In order for us to support our website activities, we may receive monetary compensation or other types of remuneration for our endorsement, recommendation, testimonial and/or link to any products or services from this website. 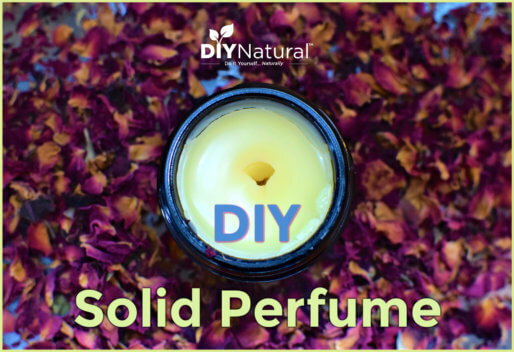 DISCLAIMER: Information on DIY Natural™ is not reviewed or endorsed by the FDA and is NOT intended to be substituted for the advice of your health care professional. If you rely solely upon this advice you do so at your own risk. Read full Disclaimer & Disclosure statements here. This alluring solid perfume recipe combines rose geranium essential oil with the sweet, citrus aroma of bergamot, and a hint of vanilla for lasting fragrance. My lips are always begging for moisture. 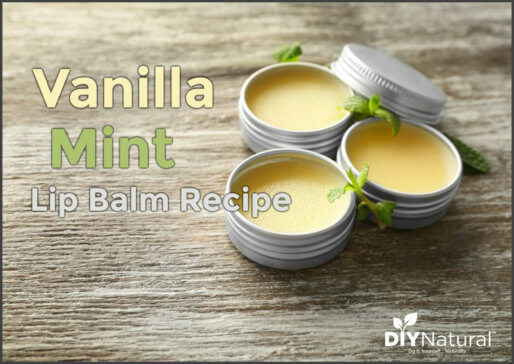 So I developed this simple vanilla mint lip balm recipe that tastes great and moisturizes every season of the year! 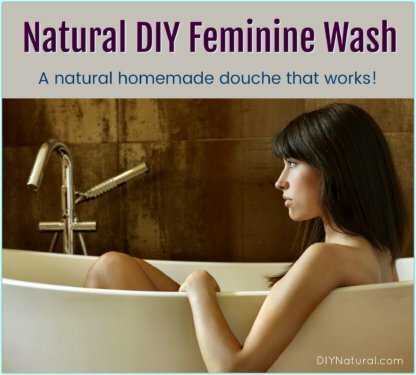 This is an all-natural DIY feminine wash (homemade douche). Some name brands claim to be all-natural, but upon closer examination, this wasn’t really true. Use cold water (not ice cold?) to wash off the egg yolk mask. It helps to get rid of the odour. These are great I have tried most if them. Not found of the olive oil and honey, they both make my hair feel sticky and hard to get. When you use egg Rinse with luke-warm water. Warm or hot will give you scramble eggs on your head. If you choose to forgo wash your hair everyday, at least stimulate the scalp. It signals the scalp to produce natural oils. Don’t go longer than a day without washing, assuming the benefits will multiply. Quite the opposite! Cleansing your hair helps remove excess oil and oil/dirt/bacteria buildup, which can lead to a bunch of hair issues. Besides, where’s the logic in washing your face and body—especially after a long night out or grueling workout—and not washing the scalp, which also takes a beating? I think the key here is balance. Regarding coconut oil stains: a soak in water mixed heavily with dish soap will lift and remove the stain. I have heard that Rosemary oil is also a good hair treatment. Has anyone here used it? What did you think? I did the Baking soda and water hair shampoo and in my conditioner I put apple cider vinegar water and rosemary oils for my hair since it is fine and gets greasy quick, The rosemary helping my hair stay clean longer. Thank you for the follow up. I’ve started using Rosemary oil on my oily prone rather fine hair and it has been awesome. I’ve been using baking soda with an ACV rinse to wash my hair for about 6 months now. After using coconut oil, or honey and olive oil, I can not get all the oil out of my hair and my hair is very heavy for 2 weeks. The last time I tried to mask my hair I broke down and used Bronner’s castile soap to try and get rid of all the residual oil. I had to use it 3 times before the heaviness left my hair. Any suggestions for getting the oil out after the masking? Just rinse ur hair with a tspn of baking soda diluted in water before shampoo .. it takes the grime off the scalp .. shampoo n condition as usual.. tried n tested!! Egg yolks will remove an oil mask from hair. Apply 1-2 yolks and leave in for 10-30 min. Rinse well with warm water. If you use the yolk and albumin (egg white) and rinse with warm water, you will end up with cooked albumin that gets stuck in your hair. I use essential oils to help mask the egg smell. Have you looked in to all natural shampoo bars? Check out Chagrin valley Soap and Salve. I love coconut oil for my hair! I have waist-length, fine hair. It dries out terribly this time of year, despite washing it just twice a week & never using a hair drier. So, after washing & conditioning, letting it air dry & braiding it, I add a little coconut oil to the ends. I keep a small container in the bathroom, just for that purpose. It’s solid this time of year, but I get just enough by rubbing my fingers across it for a bit. Then, at night, after letting my hair down but before unbraiding it, I rub in a little coconut oil into the ends again. If you use just a little at a time, your hair will soak it up & won’t be greasy. If my hair gets REALLY bad, I’ll do an olive oil treatment. I coat my hair thoroughly – not enough to be drippy, but definitely oily – and cover it with a shower cap for an hour or two. The cap helps trap your body heat & helps your hair soak up the oil. Then just wash as usual. I usually don’t need a conditioner after that first wash. It leaves my hair so soft! Matt and Betsy are passionate about living naturally and building a like-minded community focused on the sustainable lifestyle. Natural Living Made Easy. Sign Up for Tips, Recipes, and More! You will receive both educational newsletter emails, and promotional emails, at no cost to you!